Our products offer a complete and flexible range of services that are delivered with a high degree of expertise and integrity. Finsbury Green successfully delivers dedicated services for a number of retail, direct selling, FMCG, pharmaceutical, corporates, SMEs and government customers across Australia. What sets us apart is our enthusiasm and eagerness to challenge the status quo. We have 200 staff dedicated to delivering insights and ideas that reduce costs and increase your profit. Our customer register represents some of the most significant brands in Australia and demonstrates our ability to meet the standards required for the provision of these services. The simplicity of our technology is a fundamental part of our solution driving compliance, transparency and cost reduction. Our knowledge, experience and technology streamline processes in ways that are simple, smart and efficient. 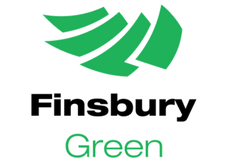 Finsbury Green’s reputation as Australia’s premier green print, managed services and logistics provider is unmatched, with a complete range of carbon neutral services including premedia, e-publishing, digital and offset print management services expertise extends beyond just print to signage, branded merchandise, point of sale, promotional, design, mail services, kitting and campaign fulfilment.